I have always been very fond of snowmen. My Christmas tree is covered with them in one ornament form or another. Ornaments are “BIG” in this household. We spend more time finding the perfect ornament for one another than we do on presents themselves. Each and every ornament is in it’s own box and is marked with the year we received it and who it was from, and every year we open them all together and reflect on how special they are to us. It’s the first thing on the hurricane evacuation list. ( That’s Snow joke) HAHAHAHA!!! Okay onto the card! 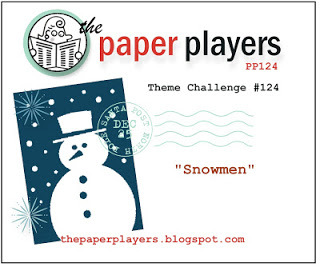 This card was made for The Paper Players Snowmen Challenge and a chance to be a Guest Designer. That would be an awesome present this Christmas! ( Wish me luck!) I paired it up with this awesome sketch over at iSpy Sketches. The DT over there made some amazing cards this week and Christyne Kane was the key to the design of my card. The snowmen stamp himself is from a friend…isn’t he so cute. The paper is a mostly Creative Memories and Stampin Up. The card base is Gina K card stock from Stamp TV. I colored the little guy with Prisma Colored Pencils and while it was in the nestie I went around and outlined it with my pencil to frame it in. I ran the snowflakes that I cut out with my cricut through my cuttlebug using my snowflakes folder. Added some rhinestones and a bow to finish it off! Thanks for stopping by I “Snow” Love when you do! Okay, I am done being corny! 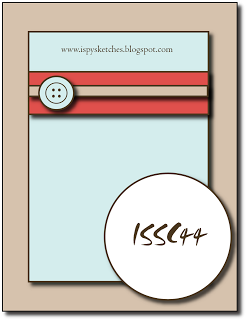 Categories: Cards, challenges | Tags: Card making, Cards, Creative Memories, cuttlebug, rubber stamps, sketch challenge, snowmen, stamping, Stamping Up | Permalink. Well! How stinkin’ cute is THIS??!! I LOVE it!!! What an expert mix of patterned papers here! 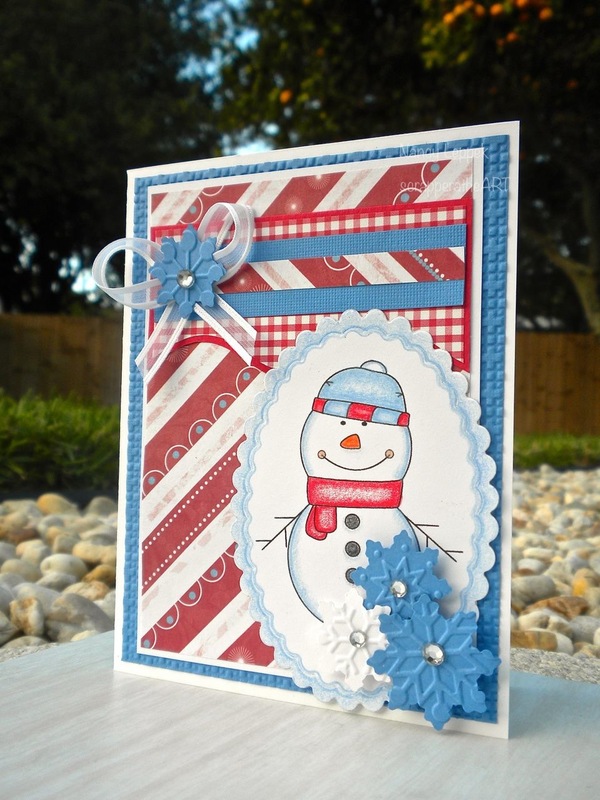 Love the red and blue color combo and those embossed snowflakes are lovely. Your little snowman looks quite festive in his stylin’ scarf! Thank you for joining us at The Paper Players!